HUDDERSFIELD TOWN paid out just over £5m in agents and intermediaries’ fees for player transactions in the year from February 1, 2018 to January 31, 2019 – the third lowest figure in the Premier League. The annual figures, which cover the 2018 summer and 2019 winter windows, show that Premier League clubs spent a combined £261m on agent fees, £50m more than a year before, an increase of nearly 25 per cent. Liverpool led the way for the second year in a row having paid agents nearly £44m. Just as in last year’s list, Chelsea, Manchester City and Manchester United complete the top four, with Chelsea spending £27m, City £24m and United £21m. This news came a day before Premier League clubs are set to meet in London to discuss ways to bring down the amount they spend on middlemen. Figures in the Championship showed Middlesbrough spent £2.65m on agents’ fees, with Leeds United shelving out £2.26m, seventh and eighth highest figures in the division respectively. Sheffield United paid £1.37m and Sheffield Wednesday £1.32m, the 12th and 14th highest figures in the division respectively. Hull City paid out £1.05m, the 17th highest in the Championship. Rotherham United comfortably paid out the lowest figure in the second tier spending just £154,653. 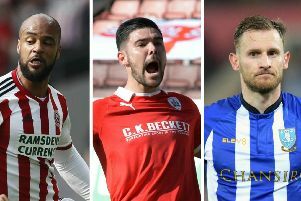 Championship clubs paid out a combined £50m, £8m more than a year ago, with Stoke City shelving out the most on agents, giving more than £7m. League One sides spent almost £6m, with Sunderland accounting for half of the total on their own at £2.87m. Banrsley’s amount of £428,580 was the second highest figure in the division. Bradford City’s was £154,410, with Doncaster Rovers paying out £88,753. Emiliano Sala’s ill-fated transfer from Nantes to Cardiff has not been included by the FA in the list of Premier League transactions involving agents. The 28-year-old Argentinian striker became the Premier League club’s record signing on January 19, but then died in a plane crash with his pilot David Ibbotson over the English Channel two days later. Since then the two clubs have been locked in a bitter dispute over the £15m fee, with the French side demanding payment and Cardiff claiming the deal was not completed. FIFA have given the two sides until April 15 to settle the row.